Get your fully digital HD report the SAME DAY! Yes we offer same day reporting with all of our home inspections; most of the time before we even leave the driveway. You will receive a fully digital, color, high definition, hyperlinked home inspection report right there on site if there is a cellular signal. And just because the home inspection has been completed doesn’t mean that we are not there for you. Feel free to call us with any questions you might have on the report, advice, referrals, or anything you feel we might be able to help you with. We are there for you during the whole process and afterward as well. We service Petoskey and surrounding areas. We specialize in residential home inspections. Choosing to perform a home inspection may be the most important decision you make regarding what is probably the largest investment of your life. We are here to help you identify problems and potential problems that may cost you thousands of dollars. We will exhaust all efforts to perform the highest quality inspection to make sure the home you are purchasing will be the home you expect; so you and your family can live comfortably knowing that it was, “Inspected once, inspected right!”. 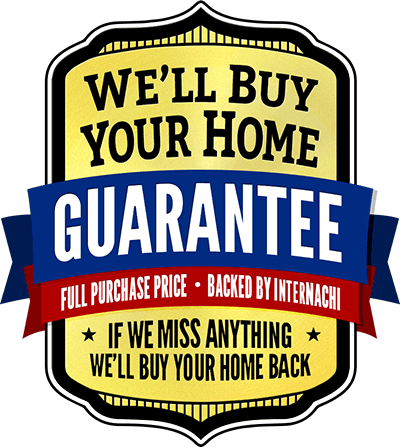 We now offer a buy back guarantee! 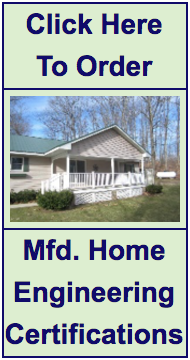 STRUCTURAL: We now offer structural inspections on manufactured houses required by FHA and other lenders. We can perform the home inspection and the structural inspection in one appointment and save you time and money! No more waiting another two weeks for a separate structural engineer to come out and complete the foundation inspection. At L&A Home Inspections we strive to stay ahead of the curve. Buying a two or three story home with a steep pitch roof and wondering how your inspector is going to give you a quality roof inspection? Worry not as we are legal FAA certified drone pilots. If there is a roof too dangerous to walk, we will deploy a DJI phantom 4 Pro drone which takes 20 megapixel pictures. This will allow us to still give you a proper roof inspection instead of just viewing it from the ground, possibly missing important items. How long does a home inspection take and when will I have the report? Our home inspections are very thorough. We take our time and explain our findings to you during the inspection. This type of quality can take 3 to 4 hours depending on the age and condition of the home. New technology allows us to deliver the paid report to you onsite via email before we leave the property. No more waiting for 24 to 48 hours or more for your report! All of our reports are detailed with many high quality color photos for your benefit. Take a look at a sample report. Will this inspection include a water analysis? For an additional charge, we will provide a water test kit direct from the Health Department http://www.nwhealth.org/eh.html or another recognized lab to suit your requirements. Certain water tests are needed for certain loans. Please discuss this with us so we can choose the least expensive test that will meet your loan requirement. We gather the water samples appropriately following the Health Department’s detailed instructions. We will be responsible for mailing or delivering the water test kit to the laboratory in Gaylord MI or another lab as it is very time sensitive (must be there within 30 hours). We also handle overnight shipping and laboratory fees. The results are generally emailed within 48 to 72 hours after being received. We will cover or exceed all of International Standards of Practice for Performing a General Home Inspection http://www.nachi.org/sop.htm. We have all of the necessary technology to perform a high quality inspection. Using the state of the art TIF8800 we will also check your gas connections near the furnace and water heater for any leaks. We will also walk on the roof if conditions are safe which some inspectors do not do. We encourage you to walk around with the inspector and ask any questions you might have. The more knowledge you have about the home, the easier your purchase decision will be. 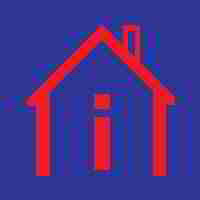 General Information about Home Inspections. My business name, quality, professionalism, and reputation are paramount to me. We are honest inspectors doing the best quality job we can do, but please remember that a home inspection is a visual inspection only. For example, if the entire foundation is covered in snow, we cannot shovel the whole foundation to look for cracks. This would basically triple the inspection price and would take days. We can inspect a portion of it to gather information about the materials used and the visible condition for that section. If the roof is covered in snow, we can scrape away a section to view the condition and materials. Obviously, we cannot shovel the entire roof or that would add an extra two days and over $500.00 to the inspection price. We do our absolute best to identify any type of moisture or leaks; however, if there is a leak in the house but is has been freshly painted, there may be no visible clues to the leak and it may not be apparent until you move in. It is always possible that the furnace may stop working a week after you move in. We have all heard of these horror stories. Although unfortunate, this is not something the inspector can always predict. We have inspected furnaces that are 40 years old and still working and have inspected some that are less than 7 years old and are failing. You can never tell with certainty when an appliance is going to fail. We can only report on the condition of the unit at the time of the inspection. If there is power on at the house we can test these to make sure they are working properly. We will also give you the approximate age of each so you know when it may possibly fail. So please keep this in mind during the inspection. You will be impressed with our knowledge, quality, and thoroughness, but sometimes there is simply no way to predict the future. We service northern Michigan including the following areas and others: Presque Isle, Gaylord, Alanson, Petoskey, Boyne City, Boyne Falls, Harbor Springs, Bay Harbor, Indian River, Torch Lake, Emmet County, Burt Lake, Conway, East Jordan, Cheboygan, Charlevoix, Vanderbilt, Wolverine, Onaway, and others. Emmet County, Burt Lake, Conway, East Jordan, Cheboygan, Charlevoix, Vanderbilt, Wolverine, Onaway, and others. Matthew Lewis is a showcased Petoskey, MI home inspector on Inspectopia.com!